In 2012, a “Down Under” team from Melbourne, Australia recognized LED lighting had finally reached a tipping point. LED technology was the most efficient way to create light, and affordable enough to pique consumers’ interest in bringing colored lighting to the home. And LIFX was born. John Cameron, vice president, says LIFX launched as a successful Kickstarter campaign. From its crowd-funded beginnings, it has grown into a leading producer and seller of smart LED light bulbs. With headquarters in Melbourne and Silicon Valley, its bulbs brighten households in 80 countries around the globe. Cameron says LIFX makes the world’s brightest, most efficient and versatile Wi-Fi LED light bulbs. The bulbs fit standard light sockets, are dimmable and can emit 1,000 shades of white light. The color model adds 16 million colors to accommodate a customer’s every mood. 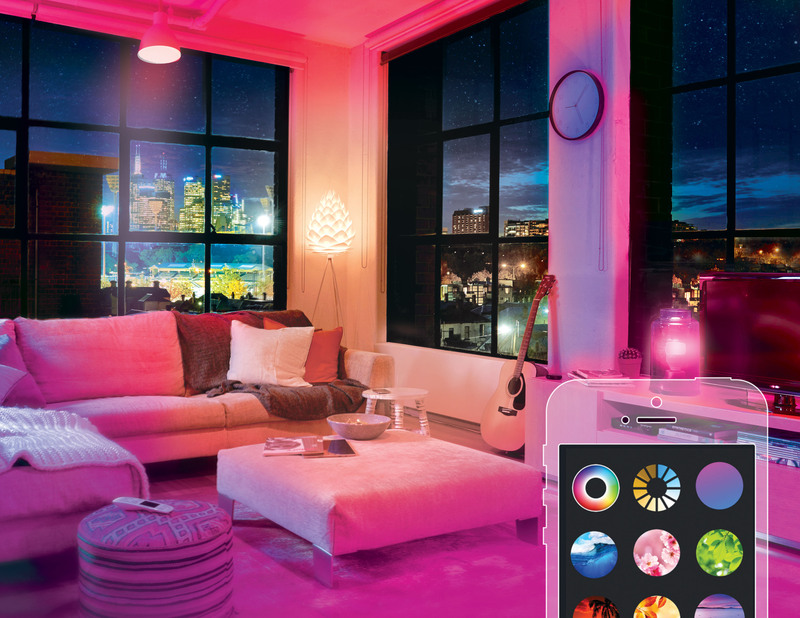 Until 2015, LIFX customers controlled their smart bulbs using smartphones apps. Customers could turn them on or off by name, dim or brighten them, and select the color of light. They could also group the devices to control an entire room of lights at once. A dvanced features let customers create schedules, custom color themes, even romantic flickering candle effects. Without the phone, though, customers had no control. Since the LIFX skill launch, ASK has added custom slots, a simpler and more accurate way of conveying customer-defined names for bulbs and groups of bulbs. Hall says that custom slots is something that LIFX would be interested in implementing in the future. Hall joined the smart home beta program and created a skill that supported on/off and brightness for light groups. When Amazon released the Smart Home Skill API in April 2016, he was ready to go. Hall says the Alexa team has shown genuine interest in feedback from LIFX on future features in Smart Home, such as color support. Cameron says the adoption of the LIFX Alexa skills by customers has been incredibly fast. “We have launched many different integrations with many different services. Adoption of Alexa was an order of magnitude faster than any other,” Cameron claimed.